George Eastman House announced today the official launch of its completed Photographic Process Videos project. The video series was funded by a grant from the Institute of Museum and Library Services Museums for America Program. From the ancient discovery of the camera obscura to the 18th century mechanical devices used to create silhouettes such as the physionotrace, this initial chapter explores the inventions and inventors that preceded photography. It recreates the experiments of Johann Schulze who proved the light sensitivity of certain silver salts and Thomas Wedgwood’s early attempts to make photographic images. These early pioneers contributed to the discovery of photography in 1839. Six new videos were created by the museum to educate students, professionals, and lifelong learners on the history and methods of photographic processes. Each video explains a different photographic process through demonstrations, behind-the-scenes footage of the museum, examination of collection objects, and conversations with curators, conservators, and historians that situate the specific process within the wider worlds of art and culture. 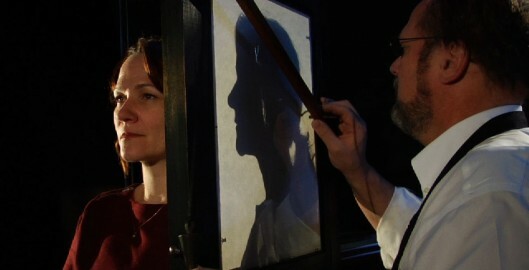 The subjects covered in the new videos include the experiments that led to the invention of photography; William Henry Fox Talbot’s processes (photogenic drawing, calotype negative, salted paper print); the cyanotype; the pigment processes (carbon and gum bichromate prints); color photography; and digital photography. The original videos have been updated with new content and interviews, creating a total of 12 photographic process videos that are now available for viewing. Return to Thumbnail View.